Flop Factor: After watching multiple trailers… I'm still confused as to what it's about. Flop Factor: Was this made before she got famous? Fifty Shades of Grey managed to stay on top the box office for the second weekend ($23.2 million) in a row despite a massive 72% drop off. Worldwide, Fifty Shades has already made $410.6 million. It was somewhat of a quiet weekend for newcomers as McFarland, USA, The Duff and Hot Tub Time Machine 2 raked in $11.3 million, $11 million, and $5.8 million respectively. A bunch of new movies hit theaters this weekend looking to give Fifty Shades of Grey some competition. Hit Factor: The first film was enjoyable. Flop Factor: Not sure if it warranted a sequel… and John Cusack not returning. Hit Factor: Has that Disney feel good family formula. Flop Factor: Has that Disney feel good family formula. Flop Factor: No early reviews… When the PC society gets a hold of what DUFF stands for. Poor reviews were no match for Fifty Shades of Grey (26% Tomatometer) as it whipped up $81.7 million this weekend… a number much higher than expected thanks a little bit to the Valentine's Day boost. So, there are other books, right? I'm guessing the sequels have already been greenlit? The number two film this weekend, Kingsman: The Secret Service, managed to do pretty well too ($35.6 million). Probably because it got surprisingly good reviews (71% Tomatometer). Also probably because as their significant other went to see Fifty Shades, the remaining significant other had to see something else to pass the time. Anyways, it was a pretty big weekend. Even last weekend's number one, The SpongeBob Movie: Sponge Out of Water managed to gross over $30 million. A couple of new movies hit theaters this Valentine's Day Weekend. Hit Factor: For some reason, a super popular book… so much so, that this is critic proof. Flop Factor: Early reviews are mediocre at best (39% Tomatometer). Flop Factor: May be way too over the top for it's own good. Pun time, yay! 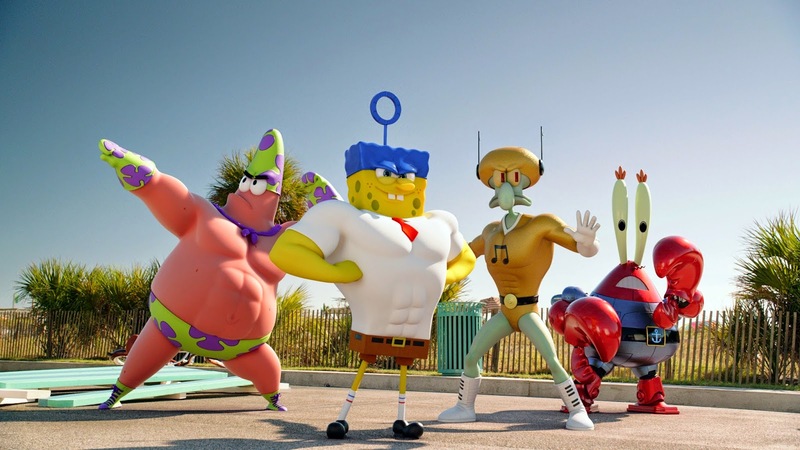 SpongeBob may be out of water, but soaked up a lot of box office cash as The SpongeBob Movie: Sponge Out of Water made $56 million this weekend. That's far ahead of the other new releases, Jupiter Ascending and Seventh Son ($19 million and $7.1 million), that also have much bigger budget ($176 million and $95 million) compared to SpongeBob's $74 million. American Sniper still holds strong as it slipped to second place ($24.2 million) and has thus far made $282.3 million. A couple of potential big budget flops take on a talking sponge and an American Sniper. Hit Factor: From the directors of The Matrix, one of the best films ever! Yes, I said it! Flop Factor: That was their last hit film, over a decade ago. Not exactly marketing it as "from the creators of Cloud Atlas." This film was also pushed back from last Summer's lineup. Flop Factor: What is he doing in this film? Oh man, R.I.P.D. may be in for a treat. 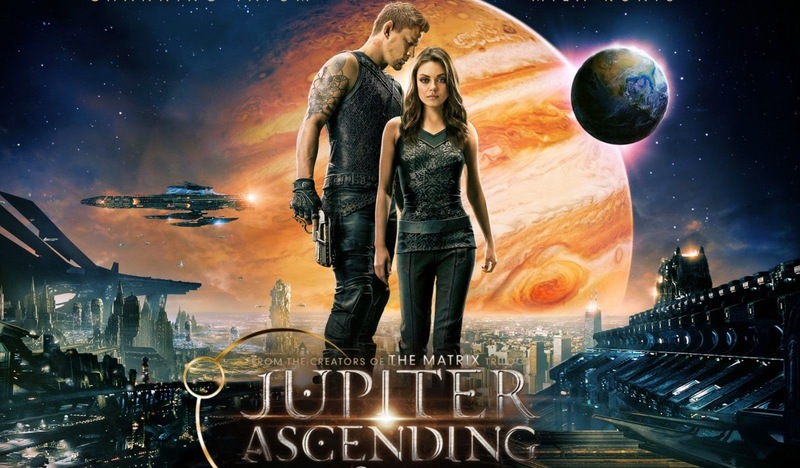 I'd rather see Jupiter Ascending… if I had to choose one. American Sniper's third weekend marked the biggest take for a movie ($31.9 million) opposite the Super Bowl. 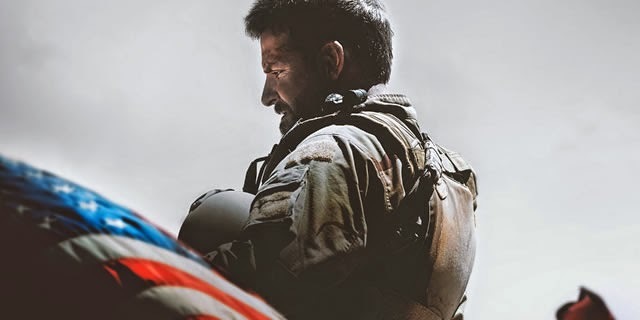 With a domestic total of $248.9 million, American Sniper is now the highest grossing war film of all time (besting the $216.5 million from Saving Private Ryan). As for the new movies that debut… well, who cares… they didn't really make a dent at the box office.